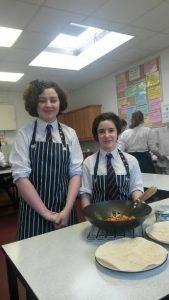 Home Economics occupies a very central place in the life of Sligo Grammar School. 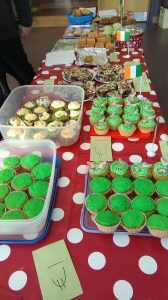 Wonderful smells waft from the HE kitchens at all times through the week and the students are often engaged in fundraising via bake sales. Every student in the school is delighted when a bake sale for charity is announced at assembly and the queues to buy cookies and buns have to be seen to be believed! 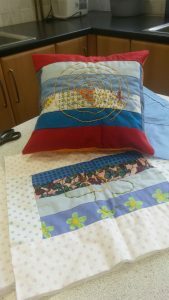 It’s more than just cooking, though, as students learn sewing and crafting skills of all kinds which are seen at their best in the fantastic craftwork submitted each year for junior cert exams.. 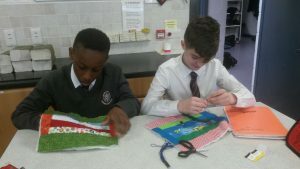 Above: First Year Students learn about patchwork. Below: An example of Junior Cert Craftwork. 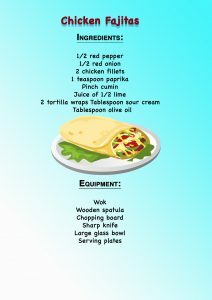 Cooking is an important part of the Junior Cert course and we have here some of the recipes used in class for you to try at home!